Manhattan Parents - Vallo Transportation Now Offers Bus Service to Bronx High School of Science and High School of American Studies at Lehman College from Manhattan. October 11, 2018 - Vallo Recognized for Their Service to the Community: Council Member Vallone and Speaker Corey Johnson honor NYC leaders at City Hall. Vallo Transportation promoted their fifth annual anti-bullying awareness campaign entitled No Bullying Zone. To celebrate this milestone anniversary, the company increased outreach efforts in the community and hosted a special bullying prevention presentation at JHS 194 in Whitestone. The presentation featured national anti-bullying speaker Tom Thelen. October 31, 2017 - Vallo Employees Donate Supplies to Puerto Rico - United We Stand! Our employees recently took action to aid those in Puerto Rico affected by both Hurricanes Irma and Maria. December 1, 2016 - Vallo Transportation promotes anti-bullying awareness by spearheading their fourth annual community outreach campaign. This outreach effort includes the distribution of hundreds of anti-bullying materials including special bookmarks and silicone wristbands for students, both of which are encouraged to be used and worn during the entire school year. 2016 marks the fifth annual Summer Read Aloud and Crafts Program sponsored by Vallo Transportation. The community was invited to attend this free special event held at Queens Library's Whitestone Community Library. Vallo Transportation raised awareness of student safety both on and off school buses by promoting their No Bullying Zone initiative as October's National Bullying Prevention Awareness Month culminated. This endeavor underscores how Vallo champions student safety and works with the community and families to help create a positive experience for students. Vallo Transportation, an independent school bus transportation company located in Queens, recently sponsored their fourth annual Summer Read Aloud and Crafts Program at Whitestone Community Library of Queens Library. As part of this sponsorship, Vallo awarded a grant to the Queens Library Foundation to underwrite the purchase of a collection of new children's books for the branch. Vallo Transportation recently promoted their No Bullying Zone initiative to commemorate the conclusion of October's National Anti-Bullying Awareness Month. 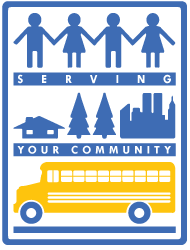 This endeavor emphasizes how Vallo champions student safety and encourages the community to work together to create a positive experience for students during the school year, both on or off school buses.This endeavor emphasizes how Vallo champions student safety and encourages the community to work together to create a positive experience for students during the school year, both on or off school buses. Vallo Transportation recently sponsored two unique literacy programs designed specifically for children in Queens. "As a company that works daily with schools, we also want to emphasize the importance of encouraging children to read and become part of that growth process for local students—many of whom we have the privilege of watching mature right before our eyes," stated Linda DeSabato, President, Vallo Transportation. "We are a third generation, family owned and managed local business, and we appreciate having the opportunity to operate in Queens. Our family makes it a priority to give back to our community whenever possible, so we were happy to bring these meaningful and engaging literacy initiatives to many communities throughout Queens." April 18, 2014 - State Senator Toby Stavisky recently presented a proclamation in Albany to Linda Kleingardner of Vallo Transportation in recognition of the Whitestone company's anti-bullying campaign. The Senator honored Vallo for their outstanding work in raising awareness about bullying. Click here to learn more about Vallo's No Bullying Zone Initiative. Photo Courtesy of NY Senate. March 3, 2014 - Vallo's Chief Operating Officer Denise DeSabato-Pisapia was recently recognized by the Queens Courier for her overall dedication to customer satisfaction and employee relations, for streamlining operations and introducing innovative solutions, and for developing relationships for future growth. Denise's grandfather started the family's transportation business over 50 years ago. With almost a decade of experience as a transportation executive, Denise continues to uphold the family's tradition of safety, reliability and professionalism, and commitment to fostering a family-like atmosphere consisting of mutual respect for employees, customers and the community. During the gala presentation, Denise received the prestigious Rising Star Award along with many other talented local professionals. Vallo Transportation once again conducted a Thanksgiving Food Drive with its employees and together donated over 25 boxes of Thanksgiving-themed food items to The River Fund New York. Vallo Transportation, an independent school bus company located in Whitestone, has taken extra measures to create awareness of their new No Bullying Zone initiative to emphasize that the company takes bullying seriously and wants to be part of the solution to stop this negative behavior. Vallo Transportation celebrates the wonders of reading by sponsoring special summer story and craft programs at the Queens Library in Whitestone. The River Fund New York food pantry is the recipient of Vallo transportation's inaugural Thanksgiving food drive which directly benefits families in need and those impacted by Superstorm Sandy in "Zone A" flood crisis areas in Queens and Brooklyn. Children in Whitestone had a fun, educational treat this week: they enjoyed free story and craft programs at Queens Library, underwritten by Vallo Transportation. Queens Theatre, a premiere performing arts venue located in Flushing Meadows Corona Park, today announced that it has elected Linda DeSabato, President of Vallo Transportation Ltd. to their esteemed Board of Directors. Vallo Transportation Ltd., today announced it now offers bus service to Bronx High School of Science and High School of American Studies at Lehman College to and from Manhattan. The company has been providing transportation to Bronx High School of Science and High School of American Studies at Lehman College throughout Queens for many years and has now expanded transportation service to include Manhattan locations. Queens Centers For Progress, an organization devoted to the advancement of children and adults with developmental disabilities, will name Linda DeSabato, President of Vallo Transportation Ltd. "Chef of the Year" during their annual Evening of Fine Food event to be held at Terrace on the Park this evening. Vallo Transportation Ltd., an independent school bus company serving families throughout Queens, N.Y., today announced that it has applied for a federal grant that will let the company buy seven new buses with advanced low-emissions technology. Vallo Transportation Ltd., an independent school-bus company serving families throughout Queens, N.Y., recently donated $5,000 to Flushing Town Hall, an arts and education center in Flushing. Vallo Transportation Ltd., an independent school-bus company serving families throughout Queens, N.Y., has been named Bus Contractor of the Year by the New York State Bus Contractors Association (NYSBCA).